Another year, another eventful few days at Dmexco, jam-packed with a great line-up of speakers, writes Katie Field, UK MD at Viant, who has distilled the takeouts from the gathering into five key themes. This year’s event was bigger than ever with over 200 hours of discussion around the central theme ‘bridging worlds’. This theme was of particular importance as it touched upon the fragmented environment that we work in, looking at how we can overcome these challenges and most importantly, the opportunities that are out there for the taking. With so much information to digest here are my top five key trends and insights from the event. In today’s mobile and social-first world, being real-time is no longer enough. Consumers are now demanding relevancy as well as immediacy. During their packed session on the first day of the event, Laura Desmond, global CEO for Starcom MediaVest Group and Soren Hagh, executive director of global marketing for Heineken, discussed how technology and data are now ushering in a new era of precision marketing and individual relevancy at scale, stressing the fact that brands are now looking to drive relevancy at moments that matter most to consumers. This is an extremely important point as it adds a personal touch to all brand interactions with consumers, opening up further opportunities to develop a consistent dialogue with your target audience. The merging of offline and online worlds is creating an interesting dynamic among consumers as they time-shift content consumption and use alternate devices to consume media at their own convenience. There was a lot of chatter about the topic during the event as a shift in attitudes has made reaching the right customer extremely difficult. As a result we are witnessing a change in targeting habits, with marketers now looking towards people-based targeting as the next iteration of data utilization. A people based view of digital spend not only allows them to accurately reach their audience in a relevant and timely manner as consumers continue to share and switch devices, but starts to provide solutions to link offline and online sales. This in turn allows marketers to accurately measure of the impact of their digital investment for the first time. One of the key messages from Dmexco is that data and creativity are inexorably linked. Big data seems to know everything about everyone but this has often resulted in a daily flood of countless and meaningless advertising messages. While data helps advertisers reach people, it’s clear that the message still matters and this is where creativity comes into play. Taking the data and analysing it to craft a great story is the secret for brands looking to deliver compelling, creative and meaningful campaigns. What was strongly apparent at this year’s event was that video content is one of the fastest-growing opportunities online today, as well as one of the most promising online advertising formats. However, despite its growing popularity, there are still questions around video’s measurability - how can agencies show just how powerful and effective this format is? Speaking at the event, advertising mogul Sir Martin Sorrell stressed that brands are increasingly asking for more rigour around how hard their media investments are working. He cited the ‘three Vs’ – value, viewability and validation – as being the critical measures in terms of online media. Millions of advertising opportunities will open up as a result of the Internet of Things (IoT) and marketers are already starting to harness this by taking advantage of the smart world of connected devices. Whether it’s wearables, robots, drones, connected cars and households, smart glasses or watches — connected devices enable new insights, touch points, and marketing platforms. AOL’s Jonathon Oliver, Valtech’s Sebastian Lombardo, Vectorform’s Jason Vazzano and Razorfish Global’s Ray Velez came together during the event to discuss the challenges ahead for marketers as they steer through this hyper-connected environment. Our current challenge is that we need to adapt to this changing environment. We all need to switch gears from our current mind frame of presenting simple, ordinary ads to providing extraordinary, unforgettable services. 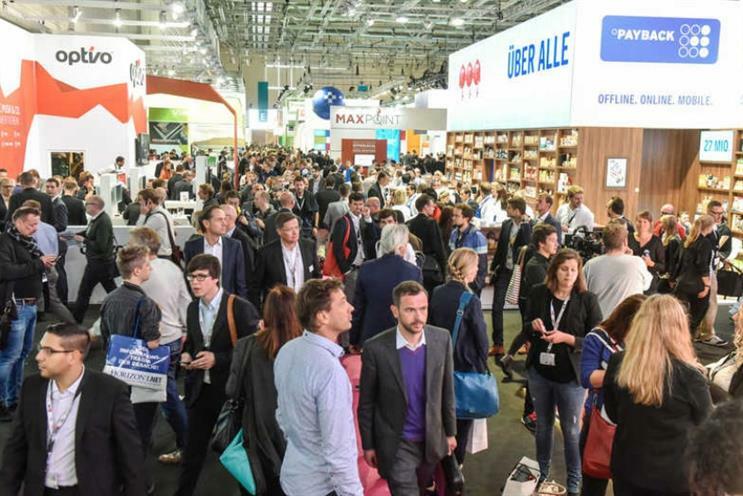 The key takeaway from Dmexco was for brands, agencies and publishers to create the most relevant and engaging experiences for consumers by embracing new technologies that seamlessly connect brands to their customers. In 2013, Marc Pritchard, global marketing officer at Procter & Gamble, said that "at Dmexco you see the future" and after this year’s event never before have truer words been spoken.